Since the beginning of history, there have been psychics; extraordinary individuals with extrasensory perceptions. These gifted people are able to see beyond and interpret the will of the cosmos. Some psychics can communicate with the afterlife, some can interpret dreams, and other can even read the future through tea leaves. 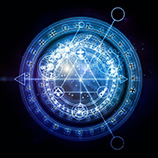 Through their beliefs, they are able to predict certain outcomes and give peace to those that seek their counsel. History is ripe with psychics, from all cultures. In this blog, we will discuss the history of psychics, their persecution, and the attitudes towards psychics today. In Ancient Egypt, psychics were common in the Royal court. Mystical “powers” were used as a way to entertain the Pharaohs. Psychics were also employed to consult with the rulers on subjects both big and small. Their advice would be used on decisions from when to grow crops to when begin wars. Psychics were well respected in Egyptian culture. This, of course, can be seen in historical readings of early Egyptian life. The Bible even references the use of psychic abilities and dream interpretation in the Genesis story of Joseph. However, false interpretations had severe punishments. If a psychic was proven to give false information they could be imprisoned or even executed. The Delphic Oracle, also known as Pythia, still remains one of the most famous psychics of all time. She was an inpreter of the Greek God Apollo and was said to have a direct link to the God. The priestess stayed in the high mountains of Delphi at the Temple of Apollo. People from all walks of life would journey to her temple and ask her for her readings. At her time, she was one of the most powerful figures of influence, as kings and nobles came from all over Greece to meet with her. She was said to have inhaled special fumes and spoke prophecies in dactylic hexameters. However, the stories of her are opposing as some say she spoke in gibberish and others claim she spoke intelligibly. It is not known what the oracle looked like, but there are hundred of interpretations of what her appearance could have been. Other priestesses operated at Delphi, but Pythia was the most sought after. She also was a leader to a priestesshood, where women of the era were employed by the temple. Because Delphi was such a popular place at the time, it eventually grew from a temple, to an entire city. The Oracle of Delphi only comes second to the famed psychic, Michael de Nostredame (Nostradamus). In the 1500s, he published his prophecies, which later were found to become true interpretations. He was a powerful figure in the French court and was adept at predicting natural disasters, such floods, earthquakes, and fires. The mystical world became intriguing to people in the Victorian era. Most wished to understand the magical world and interpret what lies beyond. Because of this, mysticism became very popular and gave way to entertaining magicians and psychics. One of the most popular psychics of the time was Daniel Dunglas Home. Known as a powerful medium and a levitationalist, Home gained maximum levels of popularity. Aside from Harry Houdini, Home was one of the most famous men of his era. However, though gifted, doubt of his gifts made him retire early. His health also limited his abilities, as he died at the age 38. Fraud allegations ruined his reputation, however, in his spiritualist novels he states he has never been caught in fraud. In today’s world doubt of psychic abilities is very much a problem. With the internet, it can be difficult for a psychic to retain his or her reputation. Doubt will always exist, but those who believe in the power of mediums will be able to benefit from them. Hollywood has an affinity towards psychics, as they are seen in any major supernatural TV show, from Supernatural to the Ghost Whisperer. Even reality television has utilized themes of psychics, such as The Long Island Medium. 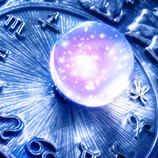 At Astrology Boutique, our psychic Caroline truly has the gift of sight. 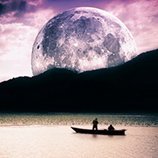 With her help you will be able to interpret your dream, learn what about your fate, and even gain relationship analysis. 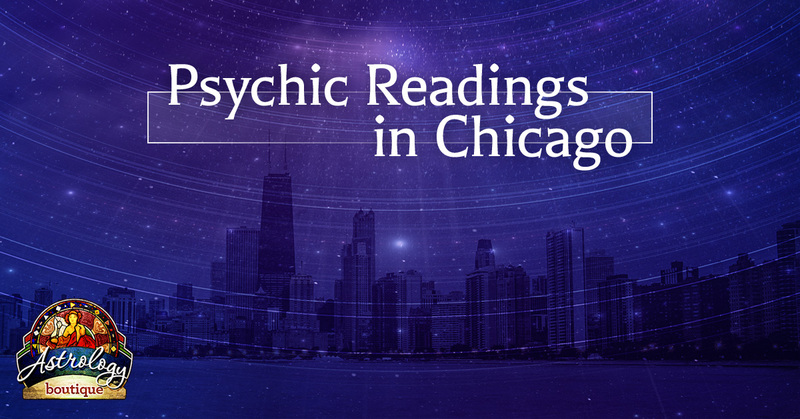 If you are looking for a psychic reading in Chicago, come to Astrology Boutique.